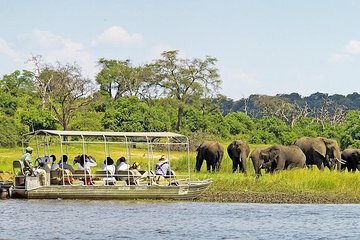 Known for its abundance of wildlife, Chobe National Park is a top place for spotting animals in Botswana. Even if you’re staying in Victoria Falls, it’s worth a day trip to see herds of elephants and other popular wildlife. Going with a guided tour not only simplifies logistics (including a border crossing), but also provides insight into the wildlife you might miss on your own.